Posted on April 11, 2019 | 517 views | Topic : Featured, News & Articles, Property News. Kuala Lumpur: Two young Malaysians were recognised for their outstanding talents, winning the award for ‘Best Design Impact’ for both the Interior Design and Architecture categories at the recent Asia Young Designers of the Year Awards 2018/19 held in conjunction with the 11th edition of AYDA International Summit. Based on the theme of FORWARD: Challenging Design Boundaries, the winning entries for ‘Best Design Impact’ category were selected based on the following criteria: planning and functionality, as well as design innovation. “Planning and functionality” took into consideration aspects such as an appropriate layout and design plan, as well as its overall impact on the community. On the other hand, “design innovation” was selected based on ideas that are original and innovative. Loo Yi (Architecture Category), aged 26 from University of Malaya and Zachary Khaw Lit Siang (Interior Design Category), aged 25 from Taylor’s University, beat participants from 14 other geographical locations in Asia and took home a cash prize of USD1,000, respectively. Loo Yi’s and Zachary’s’ respective projects, “Mangrove Charcoal Living Museum” and “The Weave”, showcased elements of forward-thinking design and also challenged boundaries from various design-related perspectives. Organised by Nippon Paint Malaysia Group (Nippon Paint) and in collaboration with IJM Land Berhad, the theme for this year’s AYDA is Forward: A Sustainable Future, which will act as a catalyst to challenge the next generation of architects and interior designers to break the boundaries of current design concepts by immersing their creations with functional and social sustainability elements in an effort to connect with the community. 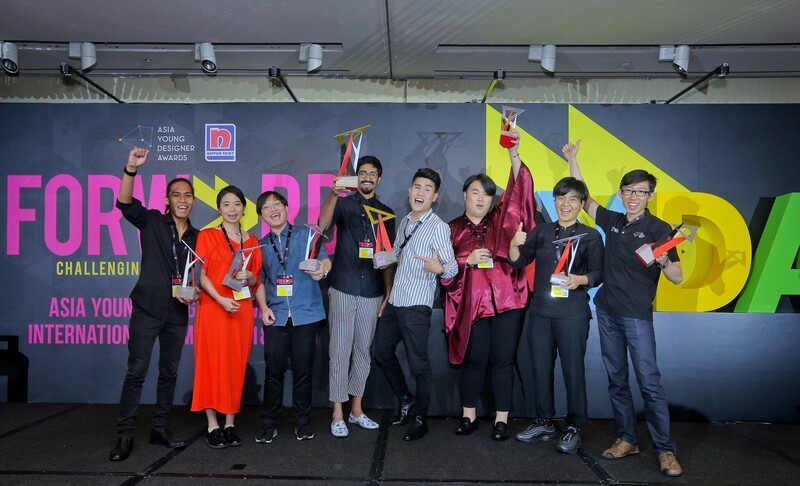 The Malaysian winners will then progress to compete with winners from 14 other geographical locations in Asia for the coveted Asia Young Designer Awards of the year 2019/20. “It goes without saying that the Asia Young Designer Awards is something that I hold dear to my heart as Malaysia was the first country to spearhead this platform. Now in our 12th year, the programme has reached 15 geographical locations across Asia and I am honoured to have had the opportunity to observe how AYDA has continued to grow by leaps and bounds, said Nippon Paint Malaysia assistant general manager of marketing Datin Wong Meng Lee. Speaking at the launch, IJM Land Berhad managing director Edward Chong, added, “As a progressive developer, we at IJM Land are keen to play a role in shaping the real estate of the future and to reinforce our desire to see a growing movement of design. We believe that the youth will define our world future and that we as the leaders of the day, must nurture and raise the cohorts to become generations of socially responsible individuals, adept in critical and creative thinking. The chief judges for AYDA 2019 are Ar. Sarly Adre Sarkum (Architecture Category) and Mr. Lai Siew Hong (Interior Design Category). As both a competition as well as a learning platform, AYDA is supported by various government bodies and industry associations such as the Ministry of Education (MOE), Malaysian Institute of Architects (PAM), Real Estate and Housing Developers’ Association Youth Malaysia (REHDA Youth), Malaysian Institute of Interior Designers (MIID), Malaysia Green Building Confederation (MGBC) and Construction Industry Development Board Malaysia (CIDB). On the sidelines, IJM Land managing director Edward Chong said the developer plans to introduce new products to Bandar Rimbayu. After launching phase 11 – Swans, which are two-storey linked homes with a land area of 22’ x 70’ in March 2019, Edward said that the company now eyes to launch phase 12 which is catered to different consumer needs. “We have launched phase 11, the Swan and we are on the way to launch our phase 12 – Starling, we are looking to launch sometime around half of the year,” he said. Starling are two-storey linked homes with the land size of 20’ x 60’ and would be priced around RM500,000 to RM600,000. Commenting on their Rumah Selangorku initiative Halaman 11, Edward said that currently IJM have began piling work for two new blocks. “We are constructing and selling two blocks and have began piling work for the next two blocks, so we are doing it progressively,” he said.